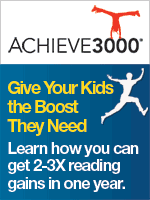 Special Notice: This offer is now open to ALL parents, whether you homeschool your children or not. However, you still need to join the Co-op to place an order. Membership is free! Don't worry that the sign up form asks you to certify that you homeschool kids. Just leave that checked. 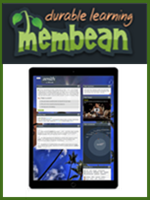 The Homeschool Buyers Co-op is pleased to present GroupBuy savings for a 1 year subscription for Uzinggo®, an online and interactive Science and Math program from Sebit, LLC. By joining this GroupBuy, you save 40% on a 1-year license to Uzinggo Math, Science or both for middle and high school students. Uzinggo and Adaptive Curriculum, both of which are available through the Co-op, utilize the same online learning activities. So, which is the right product for you? In a nutshell, Adaptive Curriculum is teacher-driven, while Uzinggo is student-driven. With Adaptive Curriculum, you, the teacher, assign specific activities for your students, then review their progress as they complete the activities. Students rely on you, the teacher, to "queue up" the subjects to be studied. Uzinggo will automatically assign activities to students based on lesson plans created by subject-matter experts. However, parents can easily track student data to see how much time students are spending on activities, what their assessment scores are, and what they may need help with. Uzinggo also comes with teacher guides for the parents and instructors to help provide direction on specific activities. The parent does NOT need to assign activities to their students. Watch the video at the top of this offer page. Browse Uzinggo website for more information. Review Adaptive Curriculum's impressive compilation of awards. Try the Math and Science tutorials for both Middle School and High School. Register for a FREE 14-Day Trial. Fulfillment: Within 15 minutes of receiving your order, the Co-op will publish a unique coupon code in your Co-op account that you can use to get your new subscription, or renew an existing subscription, for no additional charge. This happens automatically. Just sign in to your Co-op account. Look on your "My Subscriptions" page for instructions and a link. Returns/Cancellations: As this is a special group purchase price and you have a chance to try out a full trial, we are not able to offer a refund. Please register for a FREE 14-Day Trial at the Uzinggo website BEFORE buying to make sure this is the right product for you! - Thanks! Middle School Math 1-Year Subscription for One (1) Student. Our online math tutorials use multi-media visual proofs and lessons that help students master key fundamentals in everything from understanding basic concepts of middle school algebra to learning and applying skills to solve geometry problems. 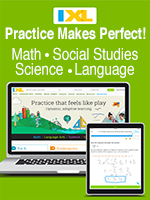 Middle School Math & Science 1-Year Subscription for One (1) Student. High School Math 1-Year Subscription for One (1) Student. For most high school students, coursework during freshmen through senior years includes pre-algebra, algebra I or geometry, followed by algebra II, trigonometry and calculus. Our online math tutorials using multi-media visual proofs and lessons help students master key fundamentals in high school math, everything from understanding basic concepts to learning and applying skills to solve problems. High School Math & Science 1-Year Subscription for One (1) Student.